This article explains the configuration parameters for Oozie Launcher job. 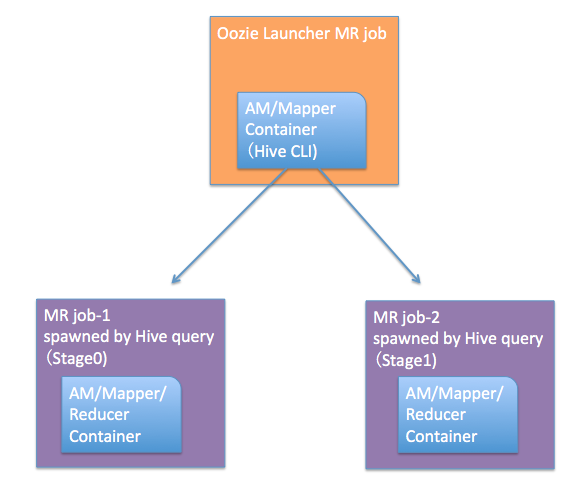 Oozie Launcher job is a map-only job which will start the jobs which does the real work: eg, Hive, MR, Pig, etc. As we can see, the Oozie Launcher job contains the Hive CLI command. 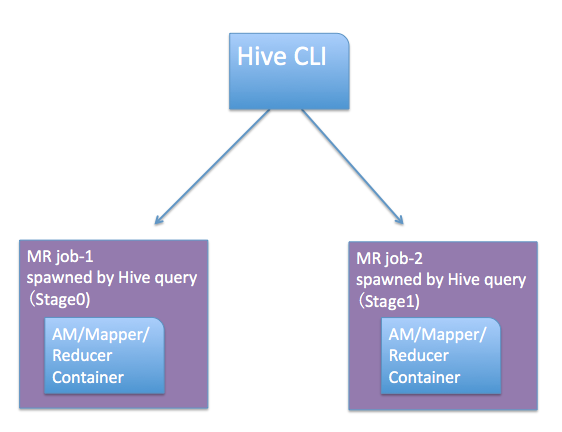 Say one Hive query runs fine only after increasing the Hive CLI java heap size(-Xmx) to 16GB. If we want to migrate this Hive query to Oozie Hive job, we should also increase the YARN container size to 16GB for Oozie Launcher job. 2. How to increase the YARN container size for AM or Mapper of Oozie Hive job? It is controlled by below 4 parameters set in workflow.xml for each Oozie job. // YARN_MEMORY_MB_MIN to provide buffer. The actual container size for Oozie Launcher job is: (3072mb,-Xmx1623m). The memory.mb=3072 because max(1024,2048)+512=2560 ==> 3072 because of yarn.scheduler.minimum-allocation-mb=1024. The actual container size for Oozie Launcher job is: (4098mb,-Xmx1623m). 3. How to verify the Oozie Launcher Container Size? Do not blindly trust the configuration page because there could be multiple sources to control the same thing. 1. When Oozie Job runs "OutOfMemory", figure out is it Oozie Launcher Job, or the MR job spawned by Hadoop components. 2. Knows how to verify the memory.mb and JAVA opts for Oozie Launcher job during runtime.